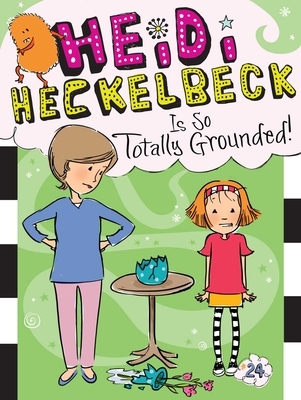 When a cleaning spell goes awry, Heidi gets so totally grounded in the twenty-fourth Heidi Heckelbeck adventure! When Mom asks for help cleaning the house, Heidi takes her magic a little too far. After all, who really wants to deal with all that dust, dirt, and grime? Not Heidi, that’s who! So she creates a cleaning helper named Dusty to do her dirty work. There’s only one problem: Dusty isn’t the most careful cleaner, and when he accidentally breaks Mom’s favorite vase, Heidi gets so totally grounded.